on May 7th, 1945 at Dam Square in Amsterdam. 32 dead, 32 stones is a memorial dedicated to the victims of the shooting on May 7th, 1945 at the Dam Square in Amsterdam. Newspapers reported 19 to 40 casualties after the shooting. The drama was dismissed as an ‘ill-fated misunderstanding’. For decades in-depth research into the actual circumstances that led to the shooting and the number of casualties and their names failed to be undertaken, until the Foundation Memorial 2015 for Dam victims May 7 1945 stepped in. Thanks to the foundation’s efforts 32 victims have now been given a name and a face. Starting as a single row of small stones, the typeface expanded with the burgeoning number of participants. 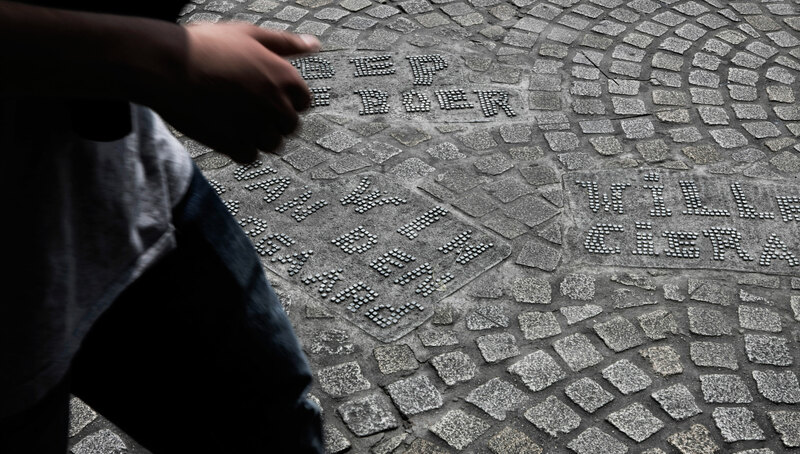 More and more stones were placed and replaced, and more decisions were made: where can a letter be bigger, or fatter, or how can a letter become more readable? By being allowed to place only one stone and replacing another, the typeface transformed ceaselessly in the course of nine months. On march 1, 2016, placeastone.nl was discontinued. The end result was transferred to 32 separate granite slabs: one slab for each victim. Monday, May 7, 1945. A spring sun warms a large crowd on the Dam Square in Amsterdam. It’s a day of celebration: two days earlier the Germans surrendered in the Netherlands. Finally they will retreat. 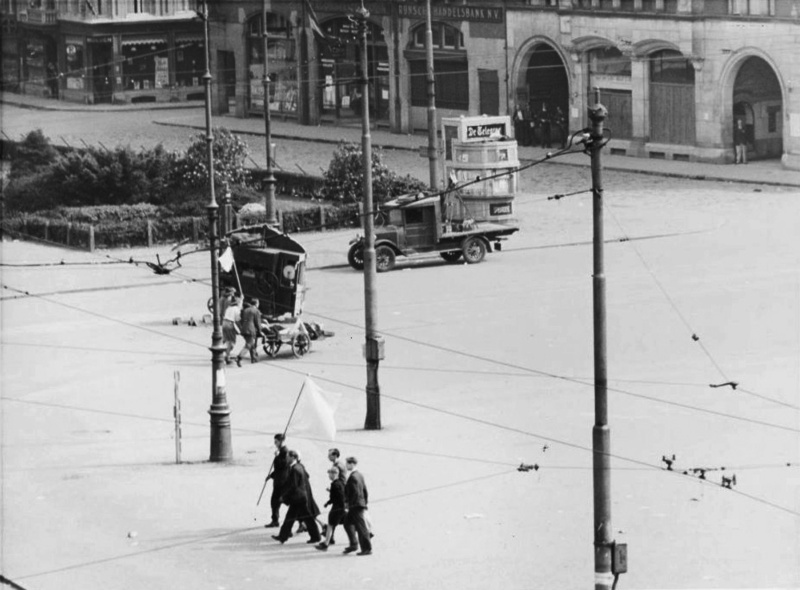 The allied troops will soon arrive at the Dam Square. Men, women, and children are waiting for them to arrive. People are strolling around and chatting, children are entertained by a puppet show, people dance to the music of street organ Het Snotneusje (the Little Whipper-snapper). Nothing suggests that a few hours later everything will go horribly wrong. The first allied troops arrive early that afternoon. An English reconnaissance unit named the Polar Bears arrives at the Dam Square: Liberators. Drunk with joy people climb on their vehicles. From the ‘Groote Club’ building soldiers of the German Kriegsmarine (Nazi Germany’s Navy) look out over the Dam Square. Members of the Dutch paramilitary Forces of the Interior are also active in the area and on the square. The Polar Bears do not stay long. They know that the situation is not safe yet. To this day, it is still not known who started the shooting. It is three o’clock in the afternoon when the shooting starts and the first people die. Panic breaks out, the crowd tries to escape wherever it can. People are pushed and trampled. People try to take shelter where it’s almost impossible, behind lampposts and street carts. Also, the street organ that stopped playing is a place to find shelter. Some people lie down behind it, in the line of fire, dodging the bullets: man behind man - a sinister elongated shadow. The shooting continues for an hour. Boy Scouts and Red Cross workers take care of the wounded, even during the shooting. Popke is active in the resistance. Even before the war, he helped Jewish families in Germany. However, he is not just on the Dam Square to celebrate the liberation. Popke visited the Dam Square at 3 o’clock to report for Vrij Nederland. He arrived early, and even sang the Wilhelmus with some friends. Popke is killed by a bullet through his head and one through his lung. He is still alive when he is put on a cart and transported to the hospital. He is the third in his family to die as a result of war violence. His brother Sjoerd and uncle Paul, who were also active in the resistance, were murdered as well. 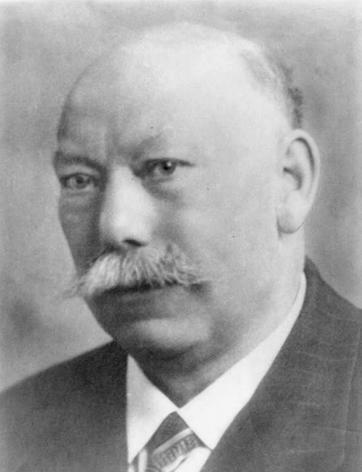 Popke left behind his wife, Ida Johanna Wiedenhoff, and two young children. Joop has a close bond with his brother Wim. Together, they are on Dam Square. They are there as members of the Forces of the Interior. Johannes is group commander. They don’t talk about it much at home, everything related to the resistance remains a secret. Son Johan tells that his grandmother sewed rank ribbons on overalls. He suspects that his father is promoted to group commander due to his knowledge of weaponry. After all, he used to be in the military service. Joop dies in the Binnengasthuis because of his wounds, and is buried in the Field of Honour in Loenen. He leaves behind two children: Johan and Adriana. He is divorced from their mother. 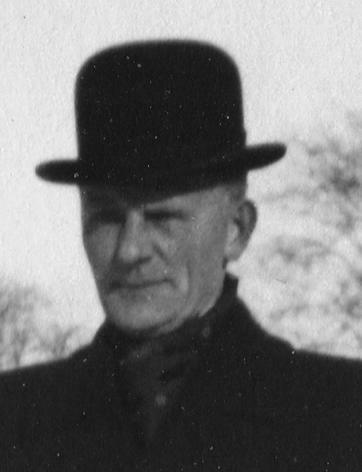 Truus’ father warned his children not to go into town. Shots were being fired. Earlier that day, he saw it himself, on the Leidse Square. Still, Truus leaves - together with her friends. Her brother Jilt quickly realizes that she is no longer alive. He is afraid to tell his parents, he is only fourteen years old. That same evening around seven o’clock, a nurse informs his parents. Truus leaves behind her parents, Jilt and Geertruida Boelen, and her brother Jilt. She lies in state at home, so that everyone can say goodbye, and everyone does come to say goodbye. During the funeral, her coffin is carried by boys from the neighbourhood. Second cousin Theo tells that his mother Truus didn’t like to talk about it. Truus is Bep’s cousin, they live two doors down. She is with her at Dam Square. Truus pulls her cousin along in a cart, and later transports her to the hospital on it. Because even though they take cover, stray bullets hit her cousin. And not her. 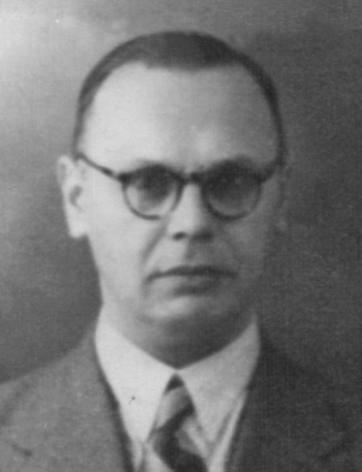 According to the Declaration of Death, Bep dies in the Binnengasthuis on May 8, 1945 at 8:15pm because of a belly shot causing fourteen intestinal perforations. Nevertheless, Truus believes that Bep, called Liesje by her, already died on the cart. For the rest of her life, she will struggle with being in places with large crowds. 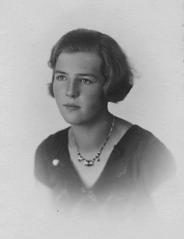 Bep leaves behind her parents, Sietse and Magdalena de Boer, and five brothers and sisters: Eerd, Co, Alie, Jan, and Annie. And cousin Truus. Jeanette’s mother has told her the story of her father’s death. She is three years old when he dies. She says: “My mother wasn’t aware of what he did,” Wim is a member of the Forces of the Interior and is therefore often away from home. He regularly visits the Dutch Central Bank. Weapons are stored in the basement of the building. Is he there to practice? He has to be on Dam Square on May 7th. Perhaps to help? He leaves a day early, on May 6th. There are images. In the memory of J. Versluys for example. Wim tries to take cover when the shooting starts. Versluys sees him fall behind a lamppost, holding his machine gun. A moment earlier, Wim is filmed while he is filming himself; the bright spots on his uniform reveal that it is a beautiful sunny day. He films the celebrations, the crowd. After the bloodbath, his camera is picked up by a stranger who continues to film the events after Wim stopped. When the shooting is over and the Dam Square is empty. The photographs at Wim’s funeral show the Forces of the Interior carrying his coffin. Behind them walks his widow – hand in hand with their daughter – in white. 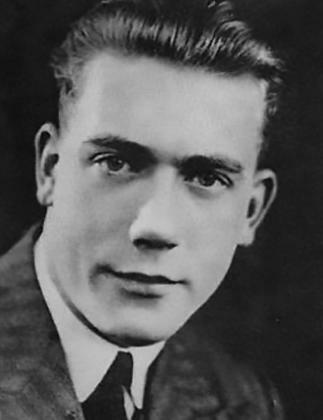 And there is the photograph of J.W. Hofman, taken on May 7th. Five dead bodies lie sideways on the pavement. Wim’s body is at the front. He leaves behind his wife, E.C. van der Boogaard-De Wit, and two children - Jeanette and Wim. On May 7, 2010, daughter Dora takes two sheets of paper and writes: ‘On May 7, 1945, my father was shot dead on Dam Square. Using a string, she hangs one sheet of paper on her chest and the other on her back. A little later that day, she is on Dam Square. Occasionally, someone approaches her and she talks about her father. It feels euphoric. 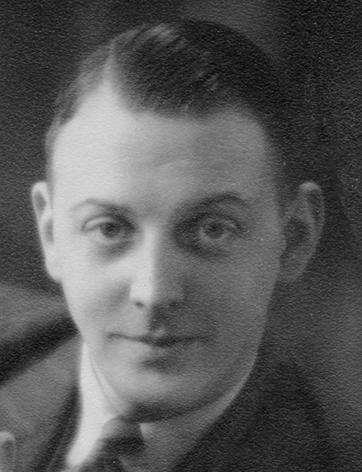 On the morning of May 7, 1945, Herman says to his wife: ‘Klasien, we’re going to start a whole new life.” His oldest son is with him when Herman is shot dead. When the young boy is found, covered in blood. He is seven years old. The family receives no benefits after Herman’s death, forcing the widow to remarry. Dora must address her new father as ‘Daddy’. She refuses. Even though Dora hardly knew her father, she retains an image of a gentle and wise man – better than any other father. Occasionally, she experiences a sense of protection, as if he watches over her. She is convinced that he will be waiting for her after her death. Every year, on May 7 at 3pm, she lights a candle. Sometimes, even if it’s not May, she sits on a bench on Dam Square. She sometimes sits there for hours. Willem used to be a steward for the Dutch National Steamship Company, and sails, amongst others, to the Indies. Later he becomes the owner of a pub on the Nieuwendijk. On May 7th, he is also on Dam Square. His two cousins are also there: Willem Kint and Henricus Bernardus Vloothuis, together. When the shooting starts, panic breaks out. The two cousins lose track of each other in the crowd. Only later they hear that their uncle was also there - that he was killed. They hardly knew him, there never had been much contact. Willem dies in the Binnengasthuis of abdominal wounds. He leaves behind his wife, Truus Kint. They have no children. Son Gerard is four years old when he and his parents go to Dam Square to celebrate. But his mother takes him home early, she isn’t feeling too well. Because of the weather? It is hot that day. Because of the crowd? There are a lot of people on Dam Square. His father Willem stays. He is shot dead in front of the portal of the Nieuwe Kerk (church). Gerard, together with his mother go to see his father. His body lies in state in the Nieuwe Kerk. 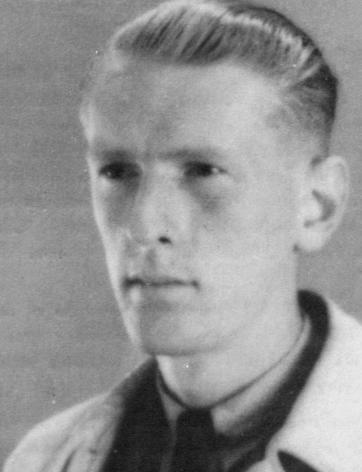 Willem leaves six children behind, including the small Gerard, and his wife, Antje Smit. She remarries, but her second husband already dies six years later. According to Aunt Anna Knuit, Gerrie is a shy boy who doesn’t like to be the center of attention. On May 7th, his parents cannot join him, they run a busy bakery. That’s why Gerrie goes to Dam Square with just his six year old brother Jan. Moments later, they lose each other in the crowd. That afternoon, Jan returns home, but his brother Gerrie doesn’t. After several phone calls, his family discovers that the boy was brought to the Oude Kerk (church). Here he lies in state. Gerrie leaves behind his parents, Catrien Visser and Jan Cornelisse. And his brother Jan.
Gerrie is the youngest of all thirty-one victims. He is eight years old when he dies. According to daughter-in-law Tine van Dam, her father-in-law loved to party. And that day, there is a party. Only when he doesn’t show up for dinner, his family suspects that something bad might have happened to him. They find him in the Oude Kerk (church). He must have died on impact, even though there is still a bandage around his head. One of the pictures of photographer Wiel van der Randen’s depicts Petrus. The photographer carefully kept a few films rolls during the war, as they were scarce. On the day of the liberation celebrations, he sets up his photography equipment on the roof of the verger’s house next to the Nieuwe Kerk. Almost all photographs he took that day were taken from above. 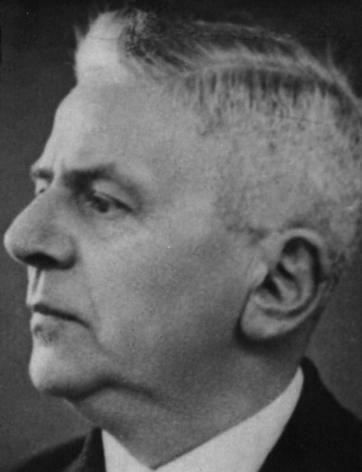 Including the photograph of Petrus. The facade of the building on the corner of the Eggertstraat and Dam Square partly obscure the view. Petrus is surrounded by small pieces of paper, white like coarse confetti. The, left behind, ice cream trolley reminds one of the festive atmosphere just moments earlier. Sixty years later, in a television report by RTV NoordHolland, Tine explains that the mixed feelings on that evening in 1945. Her father-in-law was dead, but the Netherlands was liberated. Petrus leaves behind his wife, Johanna den Riet, and eight children. 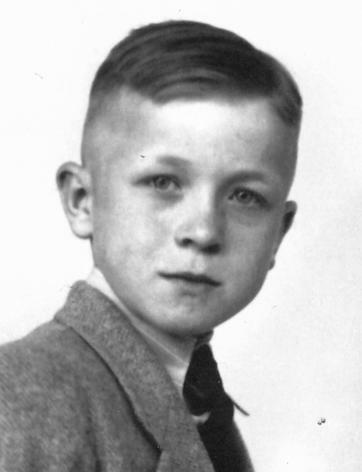 On May 7, 1945, Henk takes his twelve-year-old son Henk along. When the panic breaks out, father and son are separated. Son Henk also has trouble to keep standing. Later that day, he is brought home. His father is brought home - dead. Janine finds it difficult to say whether her father’s problems in his tragic life are caused by something he was born with, or as a result of what happened on May 7, 1945. Henk leaves behind his wife, Margaretha van Noordt, and the children Henk and Jan. She could not cope with the loss of her husband, but she took care of her children. 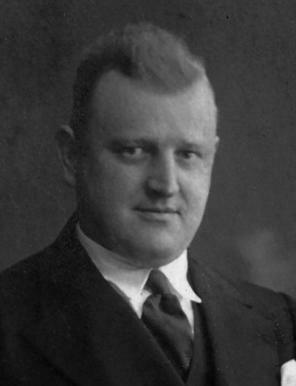 At the time Frans was hit by bullets on Dam Square, his father August is serving a sentence in a German detention center. 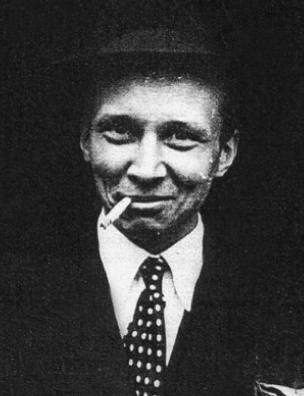 From 1935, he helped German communists with the smuggling of anti-Nazi printed matter. 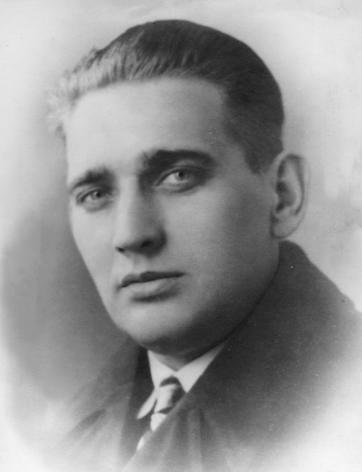 Out of fear for the Gestapo, his family moves to Amsterdam in 1940. 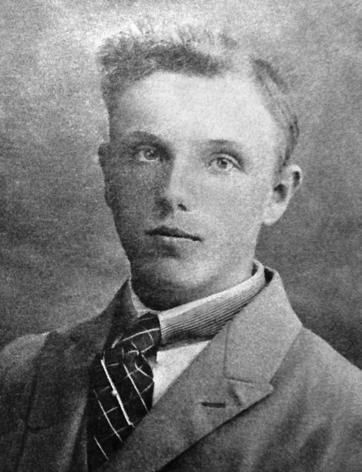 Frans is the youngest of ten children. His sister Marie warns him not to go, but he really wants to. According to his cousin Corry, he is on Dam Square with a friend. He doesn’t die immediately, but passes, according to the death certificate, at 7:30pm as a result of gunshot wounds and intestinal perforations. His body is later found in the Westerkerk. 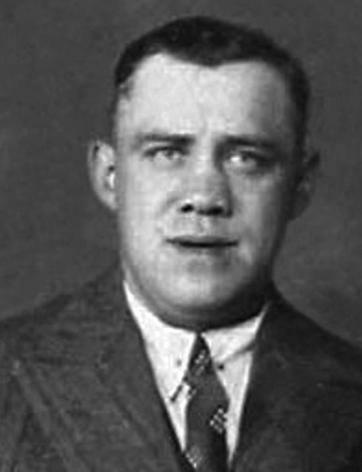 Frans leaves behind his parents, August Feller and Katharina Heuser, and nine brothers and sisters. He is only eighteen years old at the moment of his death. Dien brings her seven month old daughter to her parents, in order to go to Dam Square. During the shooting, she is shot in her knee. The hospital is so crowded, that those with only injuries to their lower body are sent home. Dien is taken care of at home, amongst others, by Guus Goede. Two years later, Guus will marry Dien’s husband: widower Buddingh. About a month after the incident at the Dam square, things take a turn for the worse. Dien develops an infection, and in the hospital it becomes apparent that her lower leg needs to be amputated. She dies during the surgery. 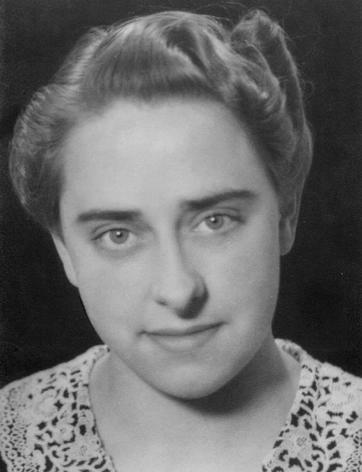 Dien leaves behind a husband, Cornelis Willem Buddingh, a daughter, as well as her parents, father and mother van der Flier, and five brothers and sisters. 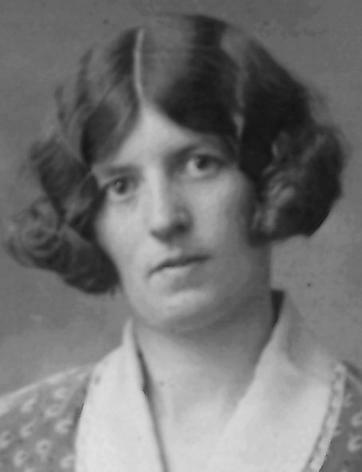 Hendrina’s daughter, Mrs. H.L. Doves-Koper, says she was on the Dam Square on that day, together with her father and mother. “We as well”, she says. Just like all the other people. Her father is a corporal in the Dutch army and was in hiding for a while. Right before the shooting begins, he sees the Germans standing on the balcony of the Groote Club. “This will go wrong,” he says, and then there is no time left to do anything. He jumps on top of his daughter’s body. However, it is her mother Hendrina who is shot. Hendrina is buried in a family plot where earlier her brother and mother were buried as well - on the General Cemetery in Zandvoort. She leaves behind a husband, Cornelis Koper, and a daughter. Granddaughter Ineke saw the bullet. It had a cylindrical shape and was about one-and-a-half inches long. The bullet is found in Jan’s tie, or that what was left of it, is a dense ball of crumpled up yarn and fiber. The bullet hole is about one-and-a-half millimeters wide. There is a hole in the back of his coat; Jan was shot from behind. 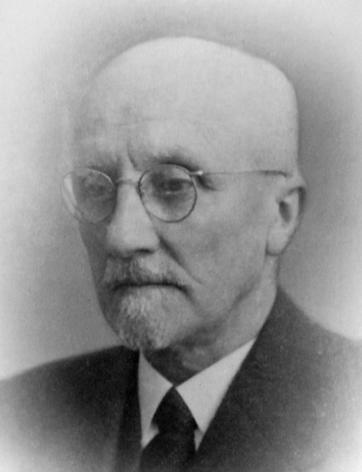 Jan Goede has a broad range of interests and was the first person in Landsmeer with a telephone connection. He is an egg trader with a company that also does business abroad. 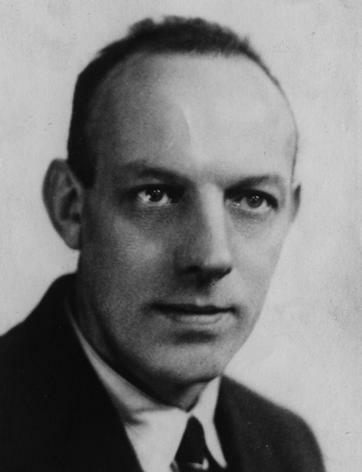 On May 7, 1945, he travels to Dam Square. On the bike. He kept it well hidden from the Germans for a long time. But that day, he rides it. He wants to see the Canadians. Jan is transported back home on a pushcart. He will not experience the death of his son Simon later that year. 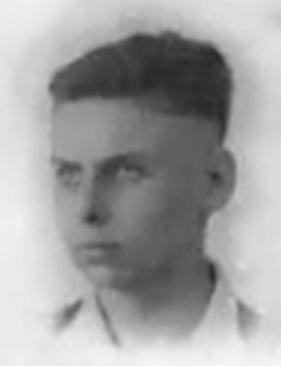 On June 24, 1945 resistance fighter Simon Goede dies in camp Ravensbruck due to exhaustion. Jan leaves behind a wife, Geertje Kalf, and seven children. 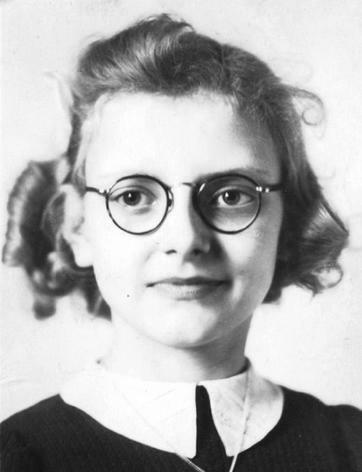 Mies - correspondent by trade - dies as reported by the Declaration of Death “as a result of gunshot wounds on May 7, 1945 at 3pm on Dam Square.” At the time, she is twenty-eight years old. 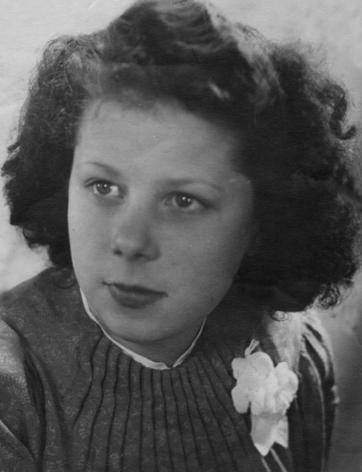 On May 15, 1945, her husband Geert Jan writes a letter to their former neighbours. Through this letter, I inform you of the sad news of my wife’s passing on Monday May 7th on the O.Z. Voorburgwal. She was shot dead by the Germans who used their pistols and machine guns to shoot at the crowd. She was struck by an explosive bullet and immediately succumbed to terrible injuries. I myself was shot in my left arm. Things are particularly grave for our little daughter and she(his wife) is irreplaceable. Could you please inform Coen and Rietje about what happened? Our daughter is staying with nice people who take care of her. 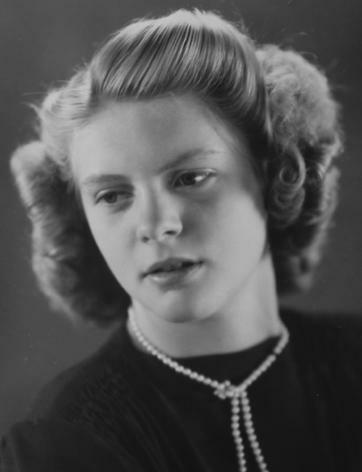 In 1947, Geert Jan remarries Aafje Blei, the youngest daughter of his former neighbours. Mies leaves behind a husband, Geert Jan Jager, and a daughter. In 1988, Frits Greefkes falls from a ladder. In the two weeks that he is in hospital with a concussion, he wakes up screaming several times a night. Time and time again he sees the face of the young man who pushed him away and saved him from the shower of bullets on that day in 1945. He sees him fall to the ground again and again. More than ever, he wants to know who saved him on May 7, 1945. On that day, the five year old Frits is on Dam Square, along with his mother and sister. He still remembers the group of nurses who were dancing with the Red Cross Corps Members. When the shooting starts, they run towards the Kalverstraat. A young man in a beige raincoat pushes him aside and is hit by the bullets instead. Frits’ desire becomes an obsession. Who is the man who saved my life? An article appears in De Telegraaf (a Dutch newspaper) on May 5, 1988. Two weeks later, some of Han’s family members visit Frits. They have a painting of Han with them, painted by his father. On the painting Frits sees the young man who saved him. He only desires one more thing: To visit Han’s elderly mother, to tell her that the death of her son was not for in vain. Han is an only child. He leaves behind his parents, Adam Hutjes and Elisabeth Hutjes-Verbeek. At the time of his death, he is nineteen years old. After the death of his mother, the painting is hung in the home of Frits Greefkes. Truus Stoelinga, Elisabeth’s cousin, is on Dam Square with friends. They are standing next to the Krasnapolsky(Hotel), and flee in the Warmoesstraat, when the shooting starts. Back in the Jordaan, they hear the rumors. Elizabeth, who went to Dam Square that day with her neighbor, was supposedly shot. When at the end of the day Elisabeth has not returned, her husband asks his children to look for their mother. They discover her in the Zuiderkerk. She was killed instantly. 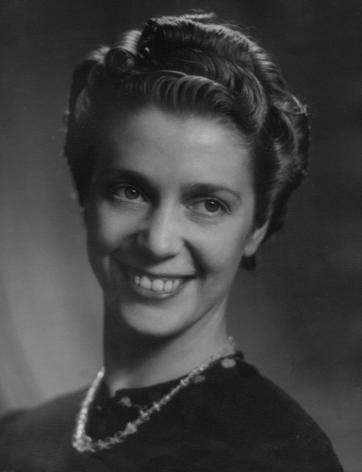 Elisabeth leaves behind her husband, Hendrik Wieland, and three children. She is buried in the Nieuwe Ooster Cemetery. The rest of the family would rather not speak about it, but Mrs. Piper-Stuurop, the daughter of Wim’s older sister Leni, has experienced the grief of her mother and grandparents up close through stories told by her mother. On May 7, 1945, Wim has no interest in going to the Dam Square. He is a serious boy, a bit studious, who attends the HBS. He plays piano. Nevertheless, his mother manages to persuade him: “All your friends will be there, let’s have some fun!” She walks behind him during the hail of bullets, and sees how the back of her youngest is coloring red by blood. The word ‘if’ has only two letters, but it nevertheless carries a lot of importance. If only we hadn’t moved from Zeeland to Amsterdam. If only we hadn’t left home on that day. If only I didn’t persuade him. Wim’s mother faces these questions every day. She becomes mentally ill and dies of grief. Wim leaves behind his parents Izak de Leeuw and Wilhelmina Helena Kempe, as well as his nine-year-old sister Leni de Leeuw. Wim was her sweet little brother. Every year, on May 7th at quarter past three, she will sit on her chair and stare straight ahead of her in silence. Hilligje works for a family on the Prins Hendrikkade. Like all young girls, she wants to experience the arrival of the Canadians. During her lunch break, she goes to Dam Square. Earlier that day, she gave away the soap and chocolate in her liberation package, as if she has a premonition. Did Hilligje flee in the direction of Peek & Cloppenburg (department store)? The Declaration of Death refers to a gunshot wound, but her brother Hans believes she got trampled and was pushed through a shop window. He remembers his older sister as a “sweet and loving girl”. That evening, she doesn’t come home. After an anxious search for her, she is found in the Zuiderkerk. A friend, Klaas van der Woude, brings her home on a pushcart. Here she will be lying in state. Beautiful flowers adorn her neck and cover the reality: the wounds that caused her death. Friends and acquaintances provide a tombstone. She leaves behind her parents, Roelof Mastenbroek and Sjoerdtje Stopie, as well as her two brothers: Adrianus and Johannes. The belongings she left behind include a picture and a poetry album. Son Kees visits Dam Square with a friend. However, they find it much too busy and go fishing. His mother Antje is there with her neighbour. The neighbour returns, but Antje does not. When the shooting starts, Antje runs towards the Nieuwendijk. When she runs past the present-day C&A building, she is shot in her neck. Her artery is hit. She dies lying on the carrier-tricycle which is carrying her to the the Binnengasthuis. Kees never really expressed his feelings on the loss of his mother. 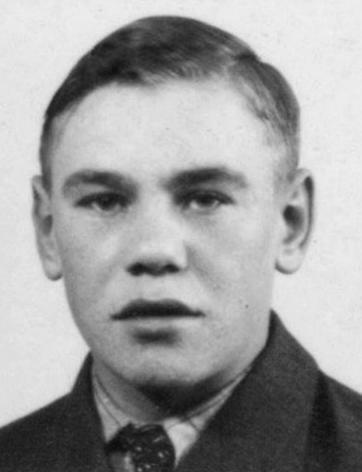 He never contacted others about the liberation and the events on May 7, 1945. He could write a book about what happened. Antje leaves behind a husband, Jan Quant, a daughter and son Kees. He is fourteen when he loses his mother and has missed her very much. His parents prefer to keep him inside during the war. Hans is tall for his age; he could easily be arrested during a raid for the Arbeitseinsatz. On days when the weather is nice, his neighbor, Hans van Zwol, often sees him standing on the veranda at the back of his house. On that day, Hans is on Dam Square with his mother. They are members of the Salvation Army and will sing songs to celebrate the liberation. Hans is hit by a bullet. The funeral procession goes from the Vrolikstraat to Zorgvlied (cemetery). The coffin is carried by Hans’ friends of the Young Men’s Christian Association. At the head of the procession, the Amsterdam East Music Corps plays music. Hans was one of their musicians. His mother wears a Salvation Army uniform and his sisters wear white. Hans leaves behind his parents, Hans Ooms and Antonia Helena Ooms-de Klerk, two sisters and one brother. Rita attends the Pestalozzi School on the Nassaukade, a ‘posh’ girls’ school where girls learn French at an early age. Tiny Poggenklaas is a classmate. She is also at the Dam Square when her friend Rita is shot. She manages to escape the gunfire; young men lift her up through a broken window of a bank building. 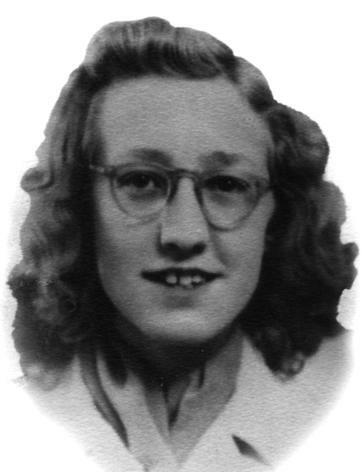 Another friend, classmate Alida Groeneveld, decided not to go to the Dam Square, because Rita gave her a food stamp. As a result, her destination that day is entirely different. Alida says her deceased friend was “a sweet and quiet girl, and a good student.” Every year in May she takes out her photograph. The picture of Rita that was handed out in class after the tragedy. “Never forget her! And never forget that she was shot by the Germans on May 7th, 1945” it says on the back. At the end of the school year in 1945, a performance is staged at the school. The parents of Rita also attend and thank everyone for the help and care they received after their daughter’s death. When Rita died, she was standing between her parents. Dirk Overdijk and Rimkien Ossel lose their only child. 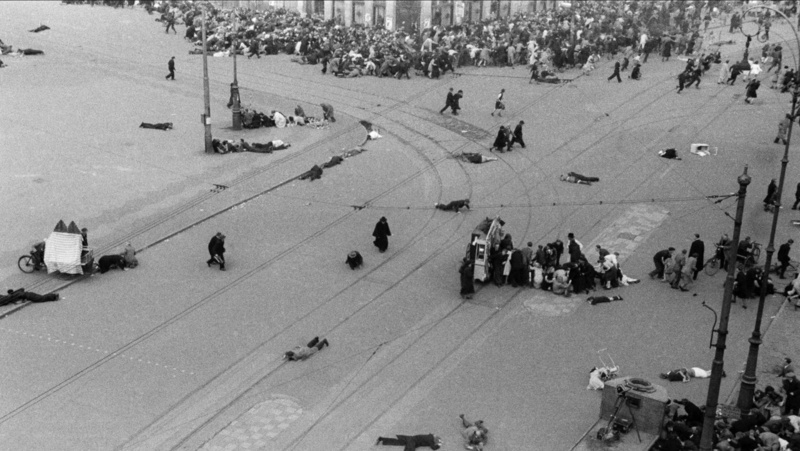 On May 7, 1945, Jan dies on Dam Square. He was sixty-three years old. He leaves behind his wife, Louise Wilhelmina Saelman-Weber, and a daughter, Johanna Maria. On May 7 1945, Willem goes out to buy a pack of cigarettes and stays to watch at Dam Square. According to his great granddaughter Angela, Willem crawled towards a porch after he was hit by bullets. He cries for help, knocks on the door, but no one answers. All help is too late. 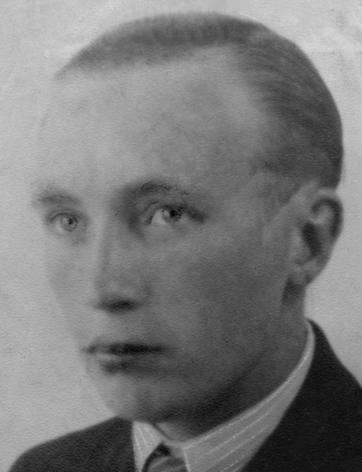 Willem dies from ‘bullet wounds to the lungs’.Willem leaves behind a wife, Theresia Schermacher-Telman, and children. Together with his neighbour Jopie, he goes to Dam Square. They stand in the middle of the square when all of a sudden shots ring out. In panic, they run for their lives, towards the Nieuwendijk, stumbling over others and others over them; Jopie loses a shoe and her bag. Janus leans over her and shouts: ‘Get down!’, and then, out of nowhere: ‘I’m hit’. Moments later, they lose each other. In the evening, Jopie together with Janus’ parents visit the Binnengasthuis, the hospital where Janus is. He dies that night at around eleven thirty, after he tells Jopie he is happy that she is unharmed. Janus leaves behind his parents, three sisters, and a brother. A month later, his sister Bep gives her son the same names. Flower merchant Johannes is on Dam Square with his father Hendrik, when he is shot dead. Photographer Cas Oorthuys is there that day as well. One of his photographs is an excellent depiction of the chaos left after the shooting: a downtrodden bike, flanked by two lost shoes.. Two men are busy cleaning up the mess, both hold flowers wrapped in paper. Are those from Johannes? Was he there that day to sell flowers? It has never been confirmed. Johannes leaves behind his wife, Henriette Straatmijer-Jansen, and a son. The widow remarries after the death of her husband. Her second husband dies as early as 1952. Nol is on Dam Square with his wife Pieternella and their five and a half year old son Ton. They want to see the Canadians. They stand in front of Lisonne Lindeman travel agency, on the corner of the Eggertstraat and Dam Square. Ton remembers that he sat on his father’s shoulders. It must have been about fifteen minutes before the shooting, when Pieternella wants to go home, to the Laurierstraat. She takes her son along. On the way home, they hear shots. Later, when Nol does not show up, Pieternella starts getting worried. He is found and identified in the Zuiderkerk by a neighbour. Officially, Nol’s fateful death was not due to the war. Two days earlier, the Netherlands was liberated, the relatives of the victims on Dam Square are not entitled to benefits. Not long after, Pieternella and Ton move to her parents’ house: she can no longer pay the rent. She doesn’t receive any money until years later. Nol leaves behind his wife, Pieternella Marsman, and son Ton. Sophia’s husband warns her not to go to the Dam Square. He has a bad premonition. Still, she decides to go, together with her grandson, a child that is being raised by her. When the shooting starts, Sophia throws her body on top of that of her grandson Rodney Vas. She catches twelve bullets. The documents state that her cause of death is ‘gunshot wounds’ and ‘pulmonary embolism because of a complicated fracture of the right femur’. Rodney is not harmed. Years later, Sophia’s great granddaughter, Nathalia Vas, tells the story of her father Rodney: the boy who was saved by the body of his grandmother. She is convinced that the event traumatized him. As a result of the shock, a nerve in one of his eyes is damaged. From that moment, he is cross-eyed. Years later, surgery repairs the damage to his eye, but the eye remains vulnerable. Occasionally, when he is tired, the cross-eyedness returns. 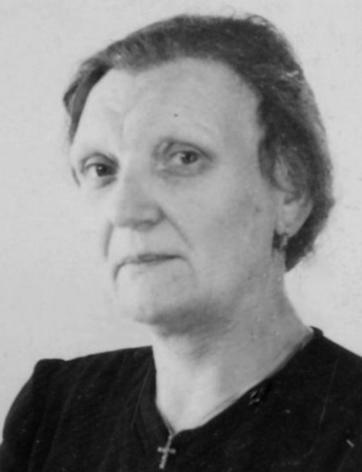 Sophia, ironer and ‘artist’, leaves behind a husband, Leonardus Vermeulen, and two children: Leonardus and Sophia Vermeulen, and grandson Rodney Vas. According to his granddaughter Tilly, Henk and his daughter Martina walk to Dam Square that day – Hand in hand. Martina is a witness to her father being shot. He is thirty-six years old. She is thirteen. She flees from the shots and is taken care of by a priest who takes her to hotel-restaurant de Roode Leeuw on the Damrak. Several hours later, she goes home - alone. Later that night at half past ten, Henk dies in the Binnengasthuis as a result of gunshot wounds to his abdomen. He leaves behind his wife, Martina Johanna Willemsen-Bouwmeester, and two children, Hendrikus and Martina. 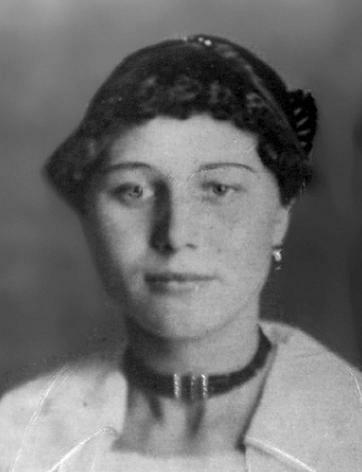 Mother Martina dies in 1953. Special thanks to all volunteers, family members of the victims, and benefactors for their selfless contribution to this project.